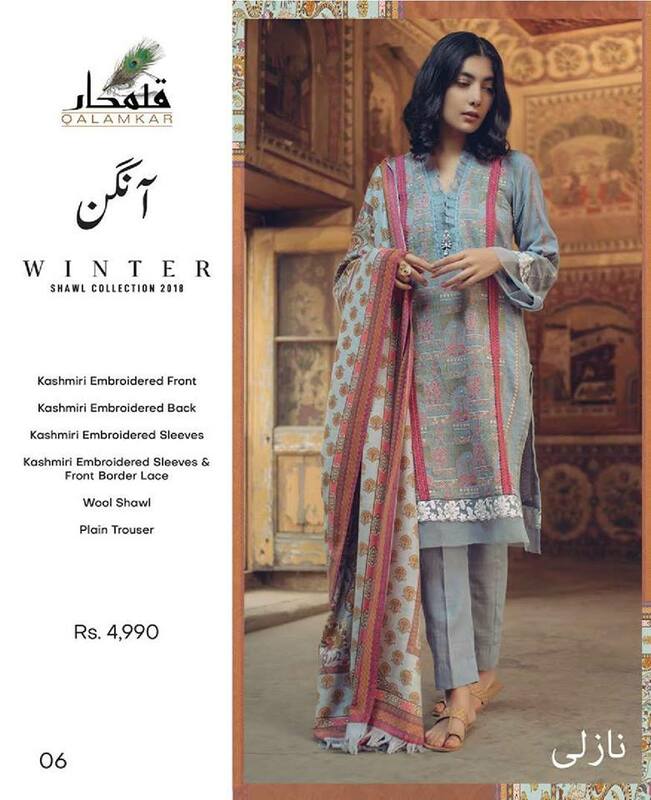 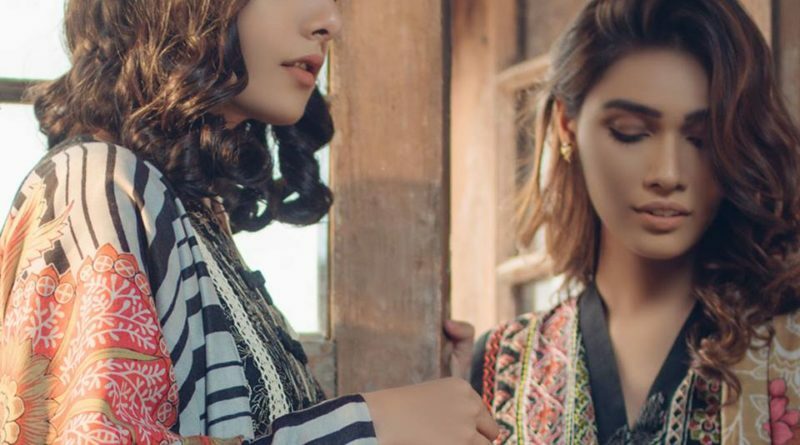 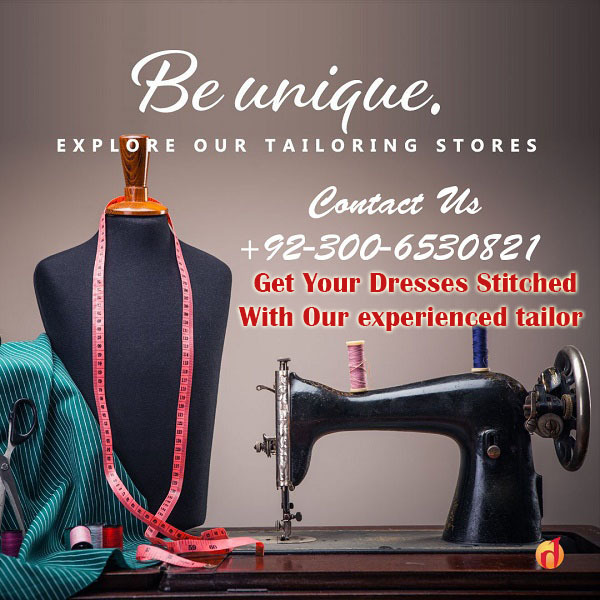 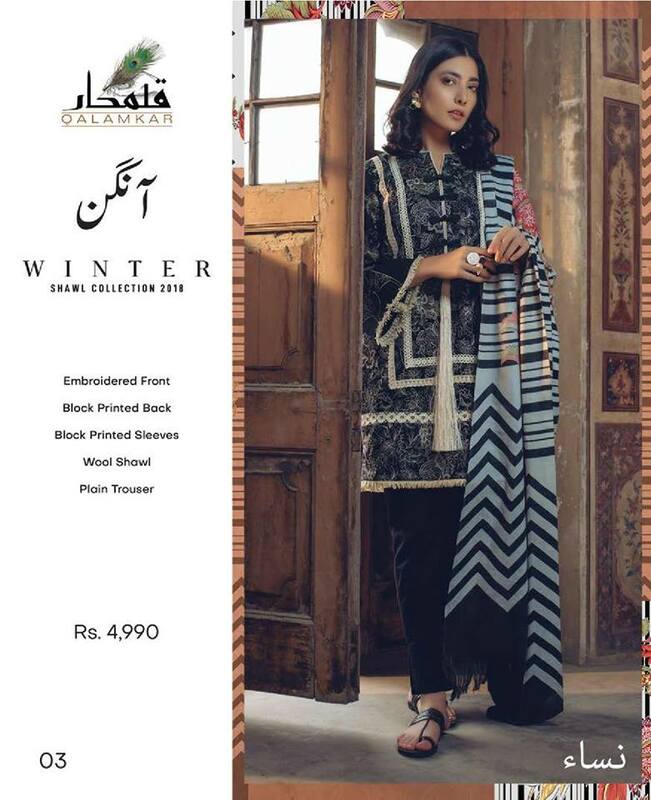 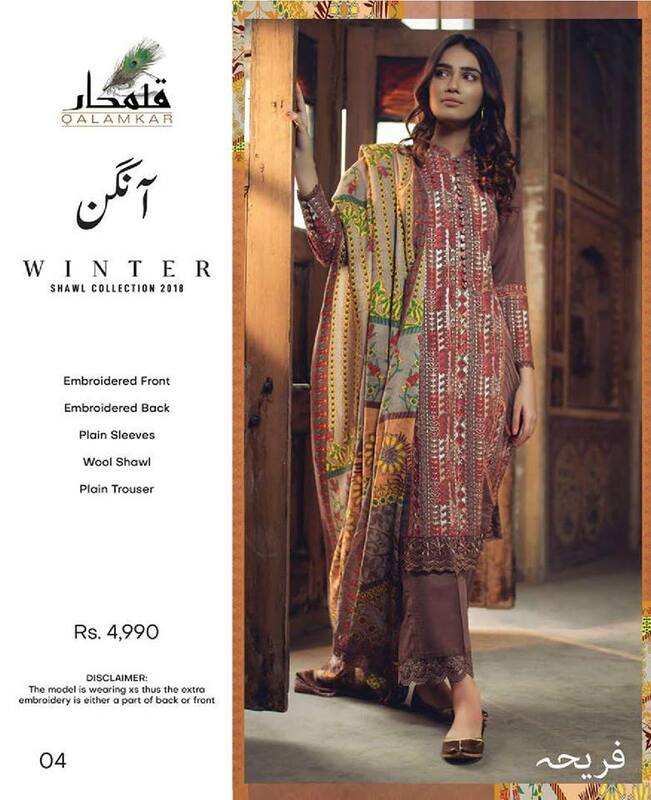 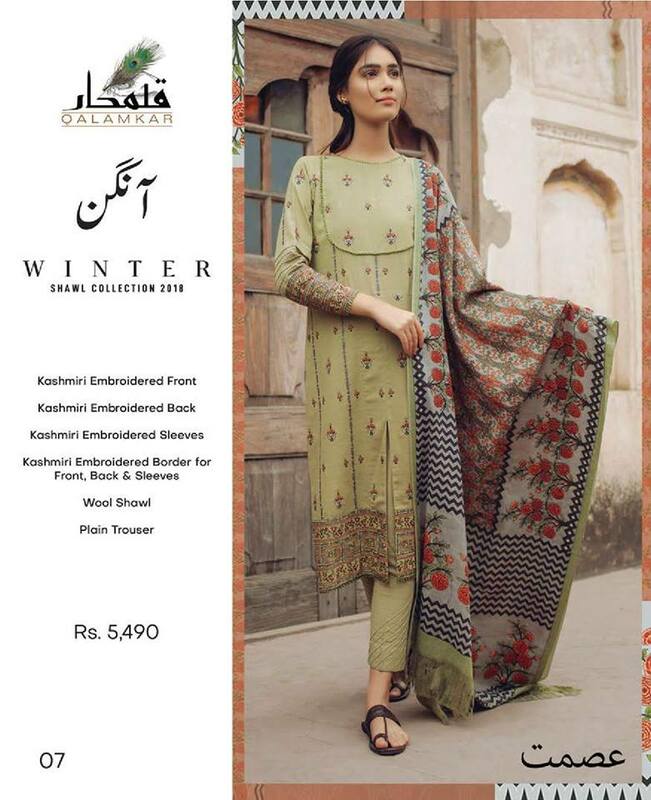 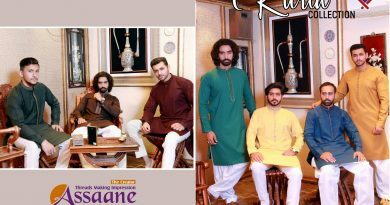 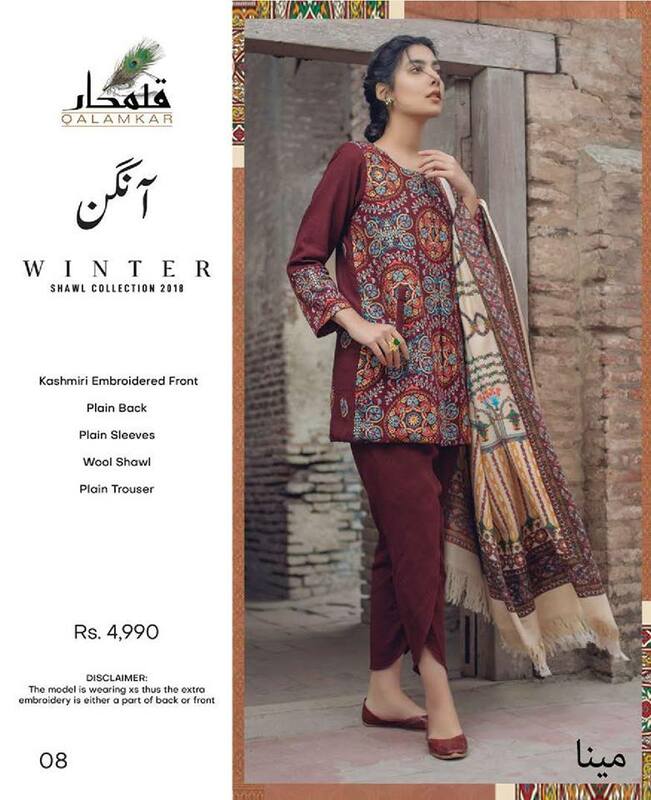 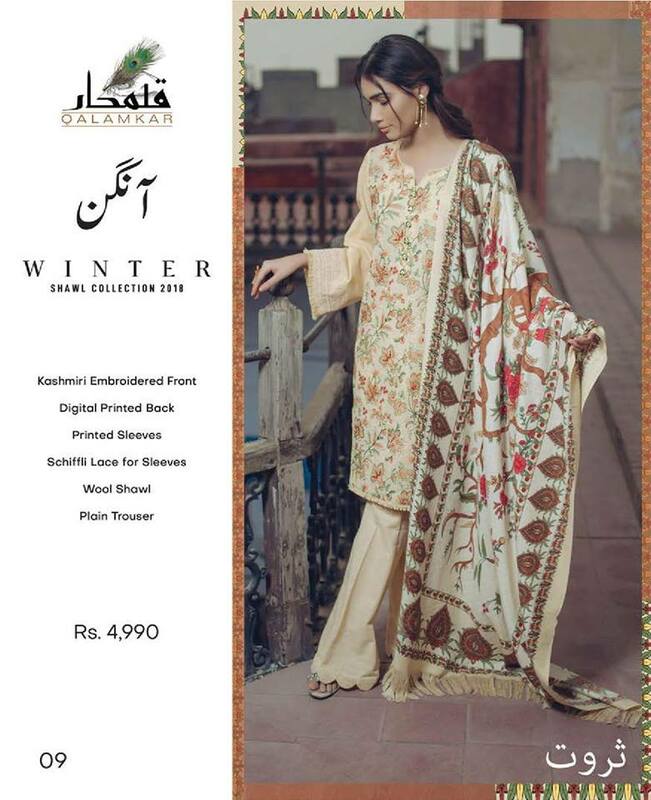 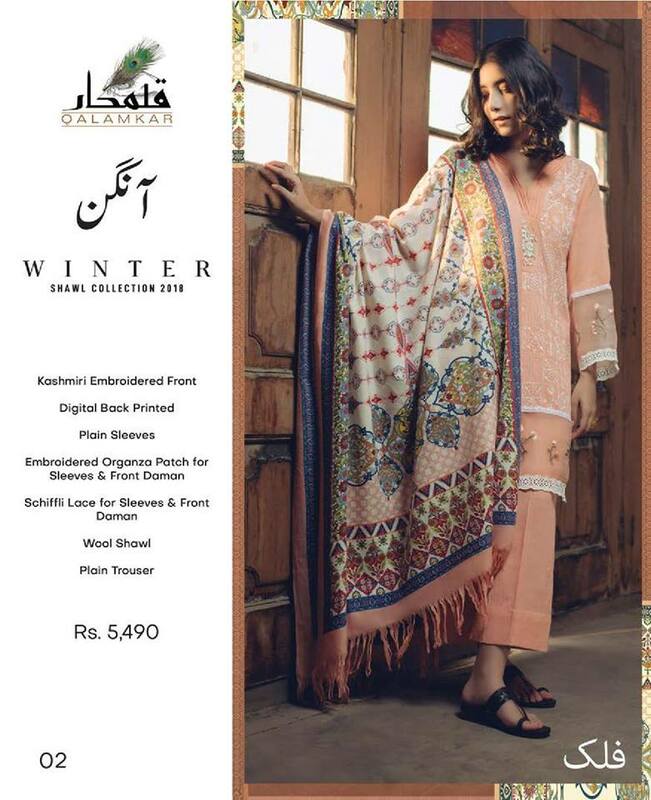 Qalamkar introducing Angan Winter Collection 2019 Angan Winter Collection 2019 brings you stylish new looks for the season. 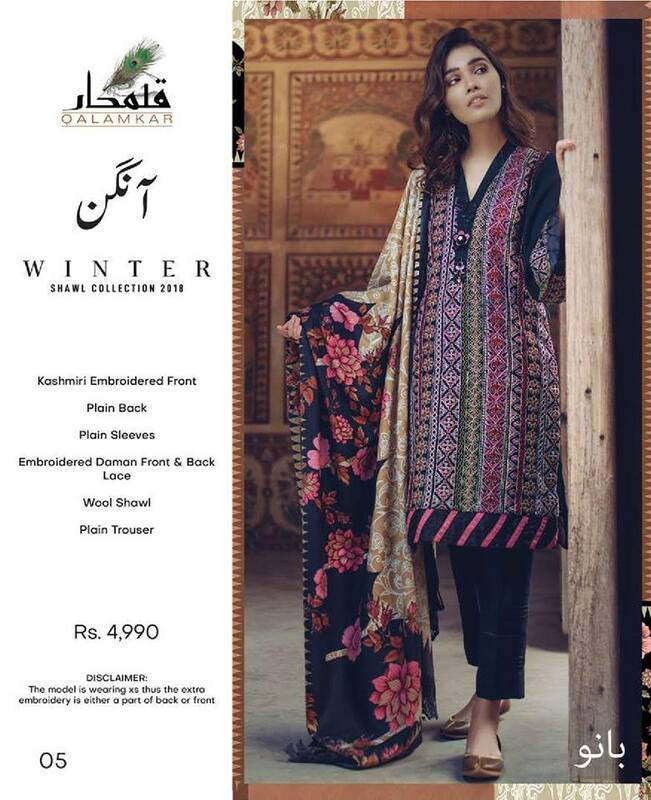 Get ready to buy from a variety of gorgeous embroidered and prints winter designs. 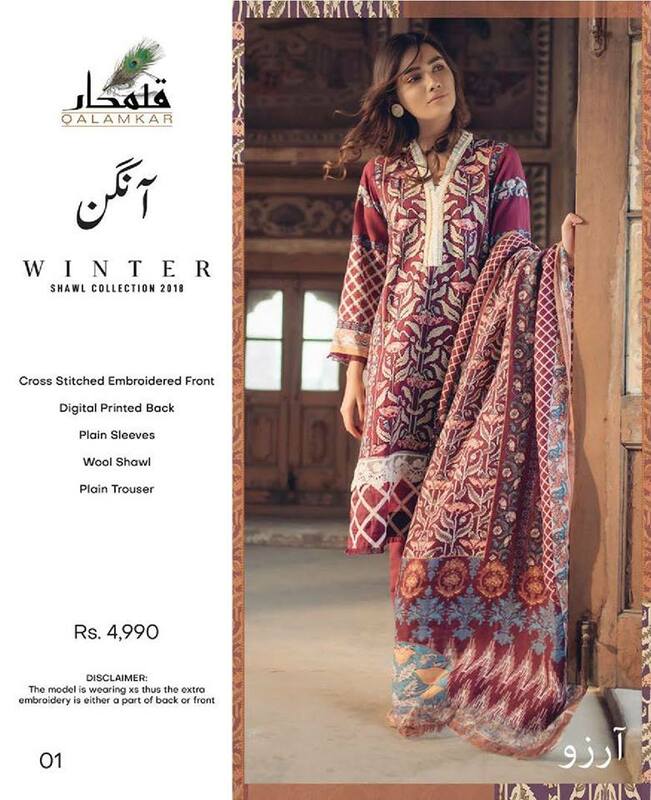 Qalamkar a stylish and chic women clothing brand presenting gorgous winter collection for girls. 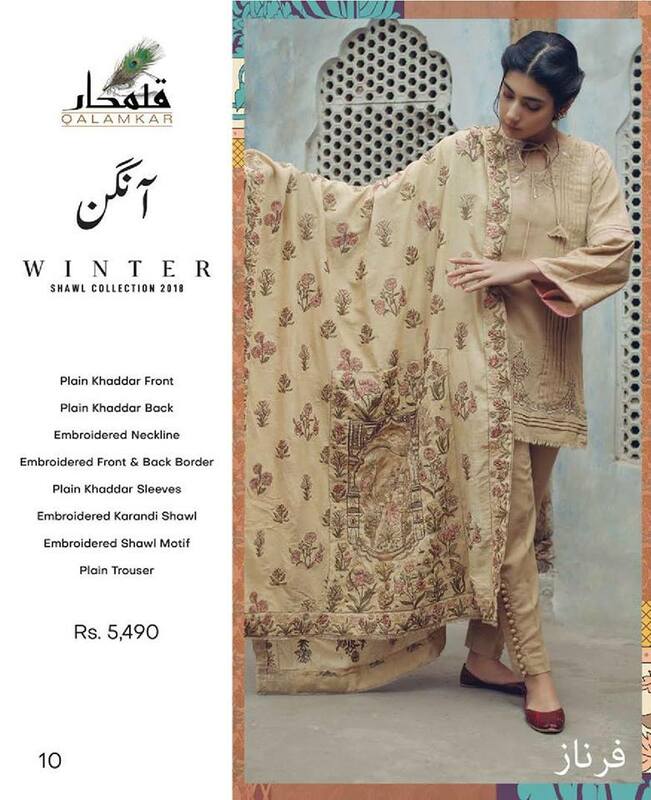 Angan Winter Collection 2019 consisting off 3 pcs premium embroidered dresses with high quality fabric that’s giving you stunning look or keep you warm in winter.